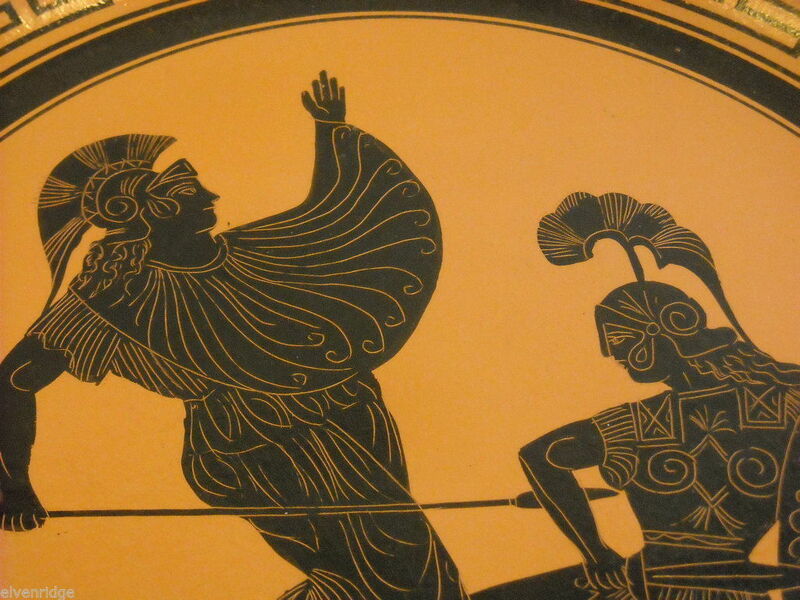 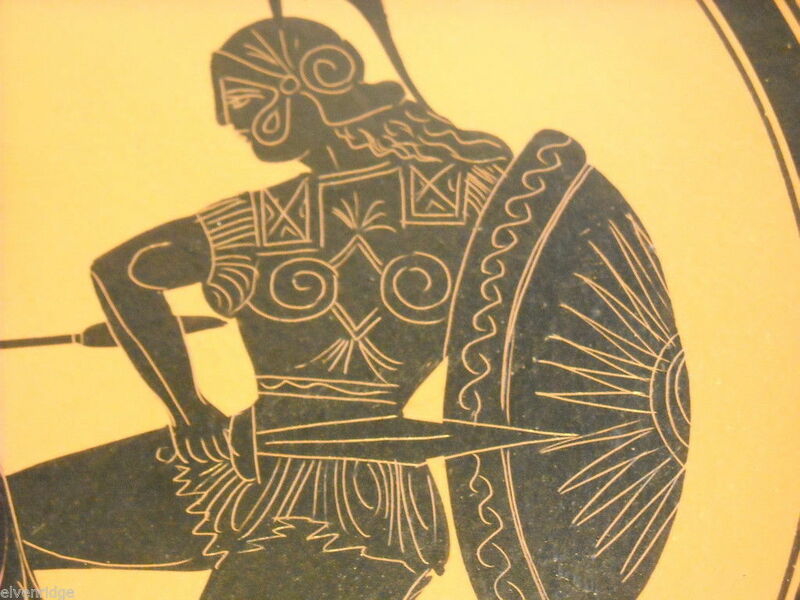 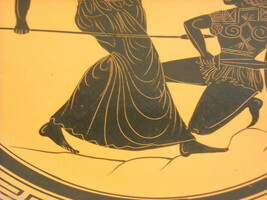 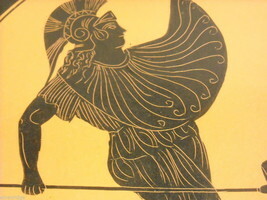 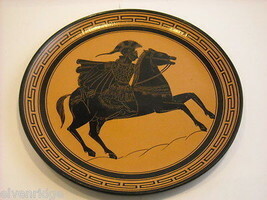 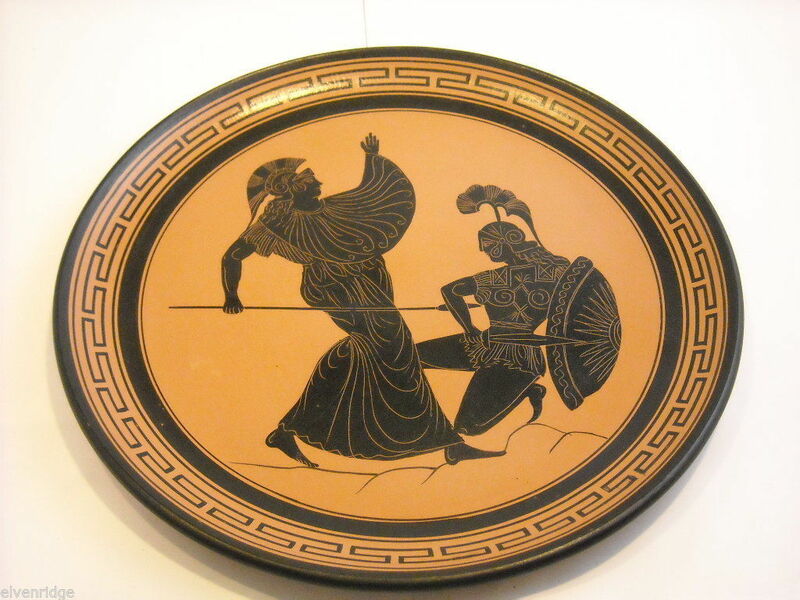 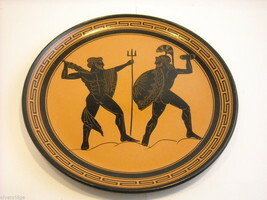 This decorative terracotta platter depicts a Greek figure fighting a Greek armored man with a sun emblem on his shield. 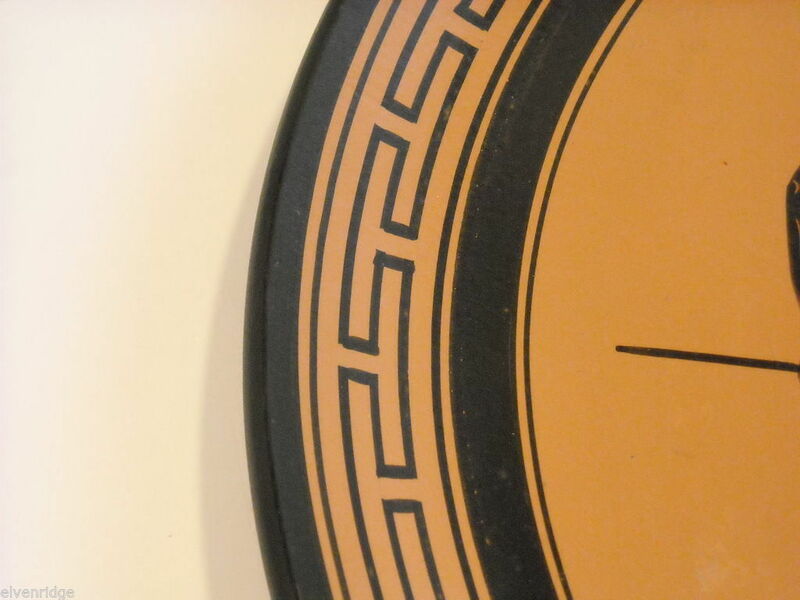 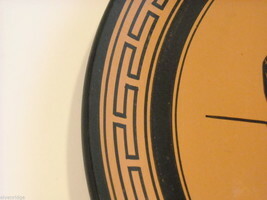 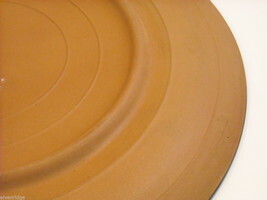 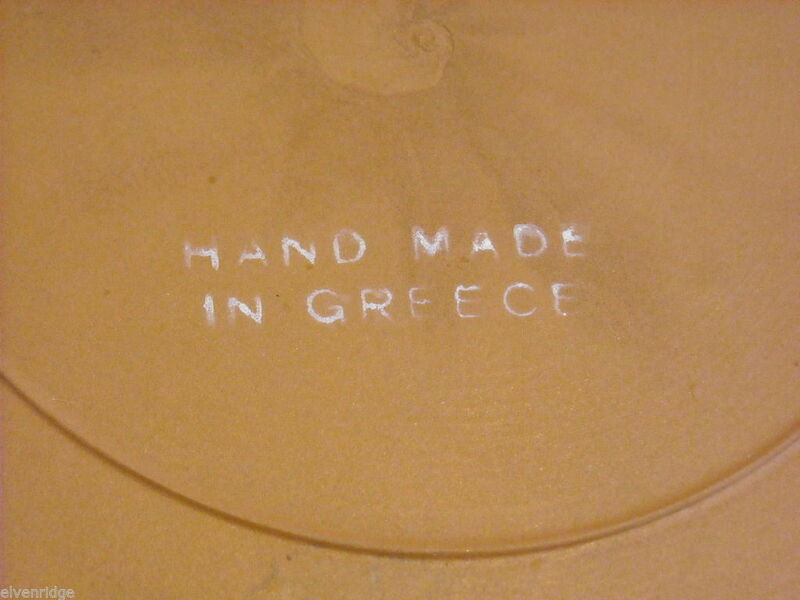 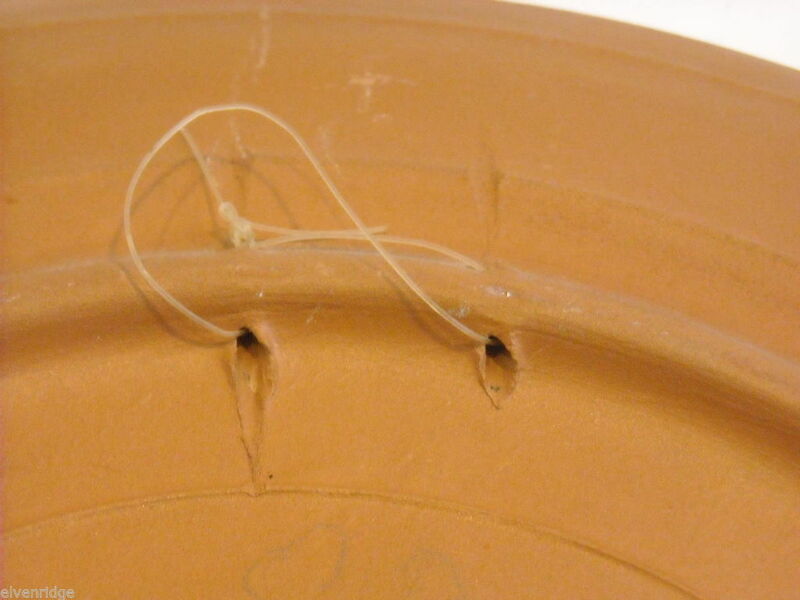 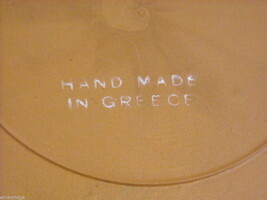 The dish has been hand made in Greece and has the typical Grecian patterns along the circumference. 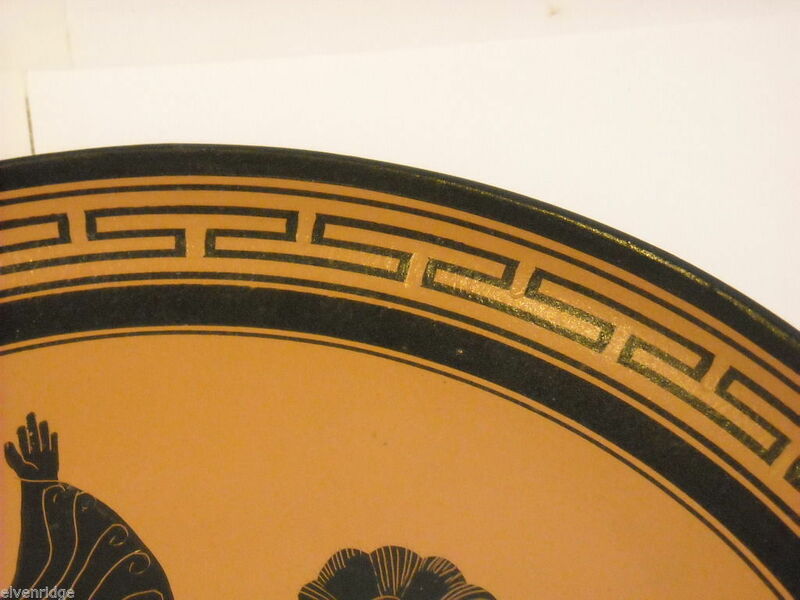 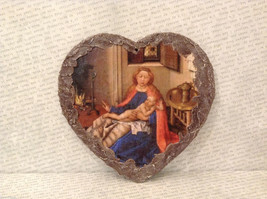 Comes with wall hangings on the back of plate. 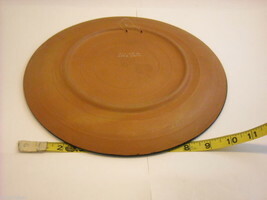 Measures 1 1/4"(W) and 11 1/4"(D).